Welcome everyone to our first official Road to the Triple Crown teleconference of the spring. We are 39 days away from the first Saturday in May, and I’m not sure the Kentucky Derby picture has ever been so uncertain this close to the race, at least not in this era of the Road to the Kentucky Derby point system. 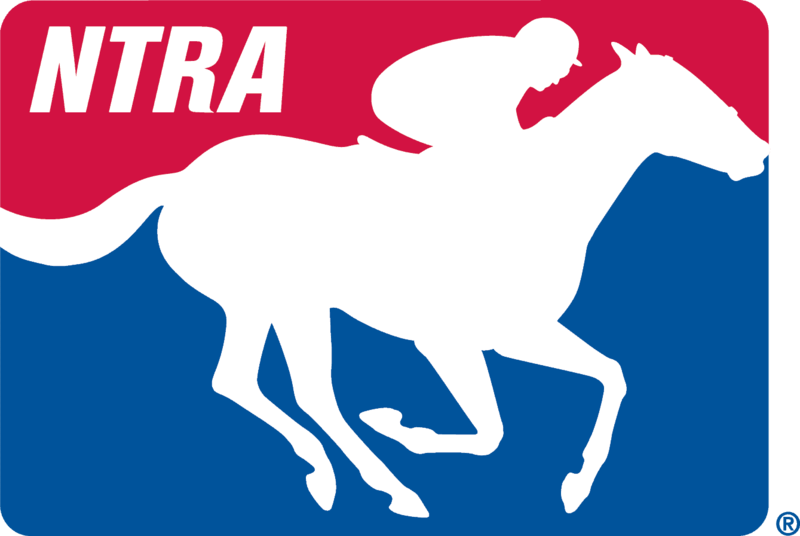 But this weekend we kicked off three straight weeks of the major final stop American prep races worth 170 points each, starting with the Florida Derby and the Louisiana Derby this Saturday. Now, later in this call we’ll connect with Jose Pinchin he’s the trainer of Three Rules who’s one of the leading contenders for the Florida Derby. But first, we get to address the one million dollar TwinSpires.com Louisiana Derby. We’ve got the trainers of the winners of the first two prep races at Fair Grounds, Neil Howard, coming up in a bit. He trains the Lecomte hero Guest Suite, and our first guest, Joe Sharp, trains the Risen Star winner and the likely Louisiana Derby favorite, Girvin. This is the first time we’ve welcomed Joe onto one of these teleconferences, so some quick background for you. Joe’s 32, he went out on his own as a trainer about three years ago, after working as an assistant to Mike Maker. During that time, he managed Maker’s Fair Grounds string, and that included a Louisiana Derby winner, with Vicars in Trouble. Before that, he was an assistant to Mike Stidim. He also logged time as a jockey and a jockey’s agent. His dad was a trainer, his mum an exercise rider, and his wife Rosie Napravnik, of course, is a former jockey who won four riding titles in New Orleans and now assists Joe at the barn and gets on Girvin many mornings. Joe Sharp, it’s Jim Mulvihill in Lexington, thanks for joining us. It’s our pleasure. Congratulations on another great meet at Fair Grounds. You’re second in the trainer standings currently and, of course, you’ve got the big Risen Star win. You know, Girvin surprised a few people in the Risen Star probably because he was going turf to dirt after winning that [inaudible] memorial. Can you just tell how his campaign developed over the winter and when you realized that maybe he belonged on the Derby trial? Well you know, his obviously – when he left Grand Oaks, which is Brad Grady’s farm in [inaudible] run by, Bobby[?] [inaudible], who’s a two-year old and training cosigner[? ], Bobby told me that he’s one of the nicest horses that they’d ever sent off the farm up to that point and, you know, Bobby doesn’t give that out often. So, with that when he showed up we already had some high expectations. Initially he was pretty unassuming, he was very mild mannered and we waited to run him. First time out, I was considering running him long first time out, but ended up just running him and he surprised us being on the lead and some pretty hot fractions, obviously, it was a dog fight all the way to the wire with a nice horse [inaudible]. So, that was – he showed more speed in his maiden win. From there, we were away on Christmas holiday and got the call that a horse had been diagnosed with herpes at Fairground, and when I heard of the first case I had my – I had an overflow string at [inaudible] training center and my dad, with my assistant, so immediately I got a lot of my – some of my better horses and Girvin and [inaudible] and a couple of three year old’s and I thought if we could eliminate them from the risk and allow them to be free and move about the country with the three year old’s contingency we were going to do it if the Fairgrounds got shutdown. So, the Fair Grounds did get shutdown but they ended up shutting the whole state down. So basically, he was stuck at the training center. But having said that, he was out of harm’s way, there was no sick horses over there so for that I’m grateful. It cost us not being able to run Lecomte because we couldn’t ship him in, so that’s why we felt it would be paramount to have a two-turn race in him before the Risen Star, and the only option that we were given was the [inaudible] on the grass. You know I talked to Brad about it and we saw it as an opportunity to give him a good schooling going two turns and it served as that. I don’t think it appeared to be his favorite surface, but it was mission accomplished, he settled off the pace, made a run, Brian made him gallop out and get a lot of out of the race, and with that we felt a lot more confident going into the Risen Star. Having said that, first time two-turns on the dirt, first grade two, you know, he had to move forward, and he did, and he did it the right away, and come out of it more a man than he went into it. Excellent to hear. Now, in the weeks since the Risen Star, his had a pretty consistent schedule, working every seven days this month. Just tell us, since coming out of the Risen Star a man how’s he progressed in the weeks since then? Very good, very good. Well you’re in a perfect spot for Saturday. Now let’s check with the media and see what questions we have on the line for you, Melody? Girvin, lightly raced, how do you – I mean, is there a way that you get experience into him through your training methods to replace some of that on track experience that maybe some of these other horses have, or do you just roll with him like he is? Basically, just going to roll with him like he is. There’s not much you can do in your training I don’t think to stimulate race experience at this point so basically just throw it at him and seeing how he takes it and how everything comes up. As far his development, obviously last time out, pretty big performance. Were you surprised that he did that in the second race of his career or was it something that you kind of expected? Well last time was the third race of his career. But, we did – you know, we were obviously pleased with the move forward, you can never expect a horse like that to come leaps and bounds the first time as far as having different surfaces and different distances pretty much every time. So yes, we were pleased, surprised – I don’t know if I would say surprised, but we were – he did exceed our expectations. He exceeded our expectations for sure. Now, as far as what’s going to happen on Saturday, another stepping stone to the Kentucky Derby, as long as he’s not injured, is that your thoughts? Is that kind of the game plan right now? Yeah, Louisiana Derby, it’s one race at a time for us. You know, Louisiana Derby is the next step, so after we see how he performs there, see how he comes out of it, and then we’ll look at the next one. Obviously, we know that points wise we’re going to be okay to get into the Derby, but, you know, he needs to perform well and come out of it well, and make us feel like we should be in the Derby not just because we have enough points to enter up. Right, understand. Well, I think you’re doing a great job keep up the great work and I certainly wish you the best of luck. Yes, Joe could you just talk about the owner Mr. Grady, where’s he from, what’s his background? I’m sorry, I was just going to ask how long he’s been in horse racing and how you met him? I would say his been in horse racing, I don’t know the exact number of years, I would say probably around ten, maybe under. Probably less than ten years probably five to seven years. I actually met him because my step dad, Brett Calvin[?] trained for him, and I met him through Brett at Saratoga and, you know, a year later we were all up at Saratoga again and he gave me some ready to claim[?] horses while I was still with Mike Maker and I started grooming some horses for him then, and that’s when I decided [inaudible] support, if there was ever going to be a time to go out on my own, that would be the time, and so he was the reason that I then called Ramsey and went from there. As you mentioned, you’re in the Derby because you want to be in the Derby, as long as the horse is doing well. How does that change things [inaudible]? Because you want to see that he belongs in the Derby and the Louisiana Derby, but does it change things when you know you’re already in the Derby if you want to be in the Derby? I guess it does if you were kind of chasing Derby fever, which I never feel like I was, and neither was Brad. Having said that, it feels really good to know that you are a part of it. So, I guess the confidence level maybe helps a little bit, and being able to take a deep breath as far as that goes, but being that they’re animals and there’s so much that can happen and so many variables between now and the first Saturday in May, you know you’re just always on your toes and never get too comfortable because they are living and breathing things and at any point something could change. So, yes, it does give you some comfort and peace of mind, but at the same time, you know, I still feel the next [inaudible] need him to be, obviously with horses lightly raced like himself, so from experience, from physical fitness and all of the above. So, from that aspect I would say no it hasn’t changed us as far as knowing we have enough points, but it sure mentally has made things a lot easier I think. You’ve been on the race track your whole life. Would you – like even 15 years ago, the idea of a horse coming into the Derby off – for career start. You know it’s just the game has changed, no one really thinks twice about it now. Could you reflect back maybe to when you were growing up and watching Derby’s and these horses had you know all these races behind them, and now this is a serious player off three career starts in the Kentucky Derby. I think horses have changed physically over the years, as we all know, and the game’s change. The pedigrees have changed. Just by watching other Derby contenders and other two and three-year old’s over the years I think we’ve learned what to do, what not to do, and what we think is the right and wrong things to do or don’t do. Specifically, I don’t remember modelling any of my patterns around something I’ve seen in the past. Having said that, I feel that there’s a lot of different ways to get the same result and with – I’m proud in this day and age to be able to have a fresh horse, to have a patient owner that let him be lightly raced and come into the Derby without letting the horse pick the race not the race picking the horse. That to me is why we were able to be patient and have a fresh horse. Joe, what would you say you learnt from Mike Maker about the Derby trail and working for him, getting horses ready for the Derby the eight times he had horses in the Derby? I would say, from Mike, like last year [inaudible] nominated year, it’s always an option until that last three-year-old prep race is gone and is over with, but at any time you can still have one jump up. Also, just the routine doesn’t change; you go in and put your pants on every day the same and you do the same thing with your horses. If he was getting ready for an allowance race, for a first level allowance race. So, that’s kind of just the even consistency is what Mike has always displayed to me. In terms of Girvin coming from just waiting the pace last time out and attempting to do that, can you tell from this Derby crop what kind of – I mean we’re trying to put our finger on something with this group in terms of a trend; so often we see speed horses dominate early in the preps and you start to see closes a little bit toward the end. How does Girvin fit in to trying to find a trend for this year? Well, it’s funny I was actually just watching TVG waiting for this conference call, and they were talking about how the three-year-old picture right now is one of the most unclear that I remember ever, personally. And, you know, as far as speed goes, I do like that he was obviously on the lead when he needed to be, when he was asked to be in his maiden race. He stopped just off the pace in the Turf race and he came from considerably further back in the Risen Star. So, he’s shown three levels of versatility, which to me obviously, with all the situations that are thrown at you on the first Saturday in May, that’s huge for us. Having said that, we did put another horse in the Louisiana Derby to kind of ensure a good pace to run at. So, that was kind of a – we were trying to develop a little bit of a pace because it seemed like it could be a one horse on the lead type deal. And, how’s the balance of family life for your fine assistant trainer and former star jockey? Well it’s good actually. I was waiting for the 11:45 conference call so we put the kids for a nap at like 11.30 and she had a 12.00 massage so there wasn’t much wiggle room so I’m glad they were pretty punctual in calling. But, it’s going well, we have a great support system, my mum and step dad are close by, and my dad has been here all winter so that helps with giving us some breaks and helping out with the schedule. Our boys are really on a very good schedule and she’s done a good job at that and it’s just made things a lot of easier. They both, especially [inaudible] obviously he’s old enough to – he just loves racing, so that definitely helps. Good to get them going young. Joe thanks very much. Good luck going forward. Hi Joe, you said he was quite mild mannered when you first got him, has he changed mentally or physically at all since he debuted? He’s kind of inflated a little bit, you know, he’s gotten more confidence he’s more of a man than a boy compared to when he first came in, that’s probably the way to describe it best. But, as far as being you know, not turning a hair, not getting worked up, he’s been very – definitely channels his energy in the right direction. And with him being able to win six furlongs, do you have any concerns that he continues to stretch out? I don’t, just because of his ability to show off and wait to be called upon, as he displayed in the Risen Star. And with you entering the other horse in there, is your plan to sit off him and maybe Local Hero? Yeah, that’s sort of up to Brian and see how the race unfolds, just see how the race unfolds. Like I said with the versatility his shown it definitely helps your level of confidence. Alright, thank you very much. Good luck this weekend. Good Afternoon Joe. You’ve answered questions relative to pace. I guess with Hotfoot and the others in there ensuring a high pace it will probably be good for Girvin. I was wondering who you saw – past performances are out, I imagine you took a look at those, can you give us a couple – I know you have to beat them all but can you give us a couple of horses to beat? Rosie and I were watching the replays after the field was drawn on some of the competitors, I think the Patch on the inside concerns me as a horse that’s going the right way, developing at the right time. Also, Neil’s horse you know, I think will love the mile and an eighth. So, those would be two – Local Hero I guess I question how far he wants to go or if he’ll relax over the mile and an eighth; that will be kind of key because I was very impressed by his maiden win. I actually texted Scott Blasi after he crossed the wire, ‘He looks like the real deal,’ after he broke his maiden because he was very visually impressive, that was the last time we saw the [inaudible]. So, I would say Patch would be my biggest, Patch and [inaudible] would probably be the biggest concerns for us as far as the competition go. Joe you said earlier that over the years you think that horses have changed physically; could you elaborate on that a little bit? And kind of a related question, the Louisiana Derby is five weeks out from the Derby; is that what you would consider ideal or is that when the race came up? Honestly, I think as far as horses changing over the years, I think we have maybe bred a little lighter [inaudible] into him, and kind of lightened up – [inaudible] be a little bit more fragile now than they used to be, and I think the game has kind of sometimes forced people to – or influenced people not to give horses as much rest as they used to be able to, when its turned more from the sport of kings to more of a game of horses needing to pay their way. So, I think that’s kind of what I was alluding to when I made that comment. And I think that’s the nice thing about Girvin’s campaign and Girvin’s owners, they’re just being patient and not putting any pressure on the situation like that, and that’s allowed us to have a fresh horse at this time of year. As far as – what was the other question I’m sorry? The five weeks out, is that the idea or is that when the race came up? Yeah, the five weeks out – That’s one thing I’ve always liked about the Fair Grounds, their three-year-old campaigns, the series on road to the Derby I think all of it is just perfect timing, from the Lecomte to the Business Star, Business Star to the Derby and the Louisiana Derby to the Kentucky Derby, I think is just, you know, for me and how I like to train into races like that, train a horse like that I think it’s an optimal spacing. If I can just, kind of a little outside of the box question because it came up this morning. Tepin refused to work this morning, and a couple of weeks ago, we had Classic Empire refusing to work. Have you ever experienced things like that, and how do you deal with it? Yeah, I think we’ve all had situations like that, and it’s all different depending on the horse and how much more you need to do with the horse as far as – that’s up to the owners and trainers as far as what more you need to happen. I guess everybody knows that when a horse starts doing that stuff that they’re trying to tell you something, so that’s sort of up to the connections that are around them all the time to try and work out what they’re trying to tell them and take it from there. Alright, Joe you’ve been very generous with your time. We appreciate your insight and we wish you luck on Saturday in the Louisiana Derby. Alright, thank you guys for having us. Alright, Joe Sharp, he’s the trainer of Girvin, the likely Louisiana Derby favorite. You’ll note that his rider, Brian Hernandez, also is the regular rider of McCracken, so Joe might give Brian something to think about this weekend in terms of where he ends up on the first Saturday of May. But moving on now, one of the main threats to Girvin of course will be the Lecomte winner Guest Suite, who was fourth in the Risen Star but made up a lot of ground to get there. Trainer Neil Howard has won the Louisiana Derby twice before with Line in the Sand and Comic Strip, of course he’s also won a host of Grade I stakes including [inaudible] with Summer Squall, and the Kentucky Oaks with Secret Status, and of course he trained the Horse of the Year in Mindshaft. Neil Howard is Jim Mulvihill in Lexington, thanks for coming on. Good morning Jim, how are you? I’m doing great. It’s so good to talk to you. Anytime Neil Howard has a nice horse it’s good for our friends in the media, so were happy to be talking about Guest Suite today. I want to talk about how patient you always are with young horses and, with that in mind, I’m wondering if you can just tell us where Guest Suite is in his development and does that give us reason to believe we haven’t seen his best yet? Yeah, I think that’s fair. He’s in a good place, and he’s made very nice subtle steady progress right from the start, up to and including the Risen Star I felt. And, he’s done well since the Risen Star. I feel like he’s still moving forward, happy with everything he’s doing, you know, training in the barn and outside I’ve been pleased with everything with him up to this point. Is there anything specific you’ve seen in that training that makes you feel that way or is he just doing his job? I noticed these are some fast works he’s putting in. I think he’s kind of getting to that nice peaking point that we all try to hold off getting to, I guess, if you will. But you know, I’ve seen subtle changes but he’s always been pretty straight forward and very genuine in his training. He is a real honest kind of little horse, and that hasn’t changed. He gives you what you want in the mornings and he’s given us what we want in the afternoons. I think I’ve seen him, he’s maybe a little bit stronger, physically he looks good, you can’t always tell that when you’re looking at him every day, but I feel like I’ve seen some positives inside-out, so to speak. Excellent, well Guest Suite is a Farish and Kilroy homebred, and you trained the dam Guest House for a while, and the second dam who won the Dogwood at Churchill for you, so I’m curious about the familiarity that comes with training that line and does it give you any extra insight into this colt’s development or what you’re dealing with when he first came to you? What is there extra for you to know about this horse based on your history with the family? There’s always a benefit to training generations, I guess you could say – training families of horses that you’ve had and offspring. With this particular horse I didn’t really – there wasn’t anything that any of his brother or sisters or some of the family that I’ve been around, that had any traits that were – any worrisome kind of traits, let’s put it that way. He came to me pretty much ready to go to the next step when I got him, he learned his lessons well and he’s been straight forward ever since I had him and there was really nothing I had to worry about as far as you know you might have trained a brother or sister or mother or father that had a quirk that you knew to look out for ahead of time which can help, but that wasn’t really the case here. This horse has been pretty straight forward. What do you have to see in this race to go onto the hardest race in the world to say no to? Well in this race, just like this last round of preps, I mean you have to – I don’t want to sound cliché, I don’t think you have to win, I don’t think every Derby winner has ever, you know, had to win his last race going; quite the contrary. But you have to see a very, very good race. You know I think you’d like to be in one, two, three, four at least, but running his kind of race, a good close I think – you know, you run fast or fast enough. You want to see a top effort, as you say, going to the toughest thing you’re ever going to try to do if that’s what you decide to do and, of course, it goes without saying, you know, if you do see that then it’s just a matter of how the horse does after the race between now and the Derby if that’s what you wind up doing. But, you know, see, everybody’s going to have a different – everybody’s going to have a different feeling on that, a different answer for that question. But I – from my part I think Mr. Farish and Mr. Kilroy and I would want to see a very, very strong effort and see them come out of it good. And again, I don’t think that means he has to win, but I don’t think – at this point you’re not going to be half stepping and go to the Kentucky Derby. No, yeah, I don’t think it hurts anything, that’s for sure. Guest Suite is – his races are his best races, are – he’s been pretty consistent. He’s an off the pace kind of horse, but doesn’t get out too far back. I think it was a little further back maybe in the Risen Star, but that just happened. It’s circumstantial. So yeah, I think the answer is yes. I think it could – it’s not going to hurt us. I think it could help us. I don’t think it will hurt us at all. Can you talk about how just the whole Triple Crown and the whole complexion of a lot of these horses has changed since you were second in the Derby and won the Preakness with Summer Squall in 1990? I mean just these – you know with Joe’s horse, these lightly raced horses that you don’t think twice that they’re coming into the Derby off maybe four career starts before Churchill Downs. How it’s all changed? I think that trend has become a little more of the norm now. We learn all the time. That’s one of the great thing about this business, the fun part: you learn all the time. I think we’re seeing that Joe certainly knows this horse in this instance – it was – and that – and him knowing that was borne out in the Risen Star obviously. But I do think you’re seeing more of that now being very, very careful, looking where – we look ahead a lot more than we used to. And for that reason we’re taking heed to that early on and not to get too far off the subject, but now I mean we’re in April or May nowadays and we’re already thinking, ‘Okay, how am I best going to get to the Breeders’ Cup?’ and we’re not even – well that kind of thing. But I think that’s what causes us to be very careful and be careful about the risks of over-racing and overtraining the horse in early in the year. But it’s complex and we all deal with it in a different way because you want to get the job done now but yet you want to be around later on too. Well I’m happy with it because – it is complex, but I do think that this horse is always – he’s got a fair – I will say he’s got a lot of constitution and his schedule has worked out beautifully. He had I think four races as a two year old, and then he had a little bit of all five I can’t remember right off the top of my head, and then he had a nice break. But the other thing is racing has also to me really taken a hard look at this, and that helped trainers. The races are spaced now more, and that’s helped us kind of give our horses a little bit more of a breather between races and have our horses a little fresher for these races. So, I think the race – racing in general and the racing secretaries have also really made an effort to help, because I think they’ve – you know they’re smart. They look at this stuff and they watch this trend also. So, I think that they know what our mindset is now about trying to keep these horses around and that’s helped. But I know I think it’s – I feel like this particular horse, his schedule, so far, has worked out well. As far as history goes, you know, about them saying you need freshman racing or sophomore racing which he had and now he’s had a couple of races, I think he’s not old – he’s perfect on the number of races that he’s had. It’s just a matter if you’re good enough now what happened. In relation to Jennie – how are you? Jennie brought it up at the recent – a couple of [inaudible] works there. I mean, on paper I don’t think it’s any secret that he’s got a couple of lengths to find, and you spoke before about reaching that balance, you want to peak but not too much and not too soon and all of that. Those workouts, were they more geared toward his development and building that foundation for the first Saturday in May with Louisiana being a step along the way, or were you cognizant of a few lengths to find so let me put a little more of speed into this sucker you know? I think all of the above. I’ll be honest with you. This is a lot for me to say but his works have all been very, very well in hand and he’s done them beautiful since the Lecomte. I – my feeling is and I say this very cautiously, it’s – that a sign that the horses is doing well. I try to train horses individually. They don’t have to go on 48, sometimes 50’s better depending what you’re trying to do, but he’s been at on top of his game. The track here, we’ve had great weather down here. The track has been in great shape, and I don’t mean as far as like been too tight or getting sped up or anything, but we – but the track has had some pretty good bounce to it. I’m sure that maybe has added to a fifth of a second here and there. But I think he’s doing well and I think that’s – and some of these three-year olds that are coming along now you do have the five weeks and some of them well I mean I shouldn’t worry about some of them. I mean as far as this particular horse goes he’s been a little bit on his game and that’s probably added to maybe a little, it will add a little sharpness to him lately. But he’s doing well and I think he’s been probably maybe his works have been just slightly smarter than maybe what we were looking for a timewise – but he’s done them in a comfortable manner I guess is the best way to say it. Neil, can you take back to October when you faced McCraken? What do you – what did you see from him and your horse in that race? And then take me five months forward and how you’ve seen both horses grow? I know you got a lot better idea of your own horse but I’m sure you’ve been watching McCraken too. Yeah so all I wanted to see, I just wanted to see him get on that van and go to Florida and not come to New Orleans. Yeah no, I mean I’m sure you’re alluding to the Fountain of Youth Stakes. I knew – Ian and I are pretty close friends and everything like that. I know Ian had been very, very, very excited about that horse, and well he should be. And I actually – what I remember more than anything was the conversation Mr. Farish and I had that night after that race, and that right – it was right that evening that Mr. Farish and I decided if the opportunity presented itself which we thought it would, we would go ahead and do something, you know, just sit tight, try to get that next allowance race under our belt, rather than run back in the state at the end of the [inaudible] to Churchill we knew we’d get that race. So we decided we saw enough that night right then and there. So, we have all the respect in the world for him and I think that we made – we did the right thing. It gave us a chance to get that all important next – a good race under his belt heading down this way and McCraken was able to go ahead and do his thing which he’s going to do no matter what. He’s a very, very nice horse McCraken. Are we considering him the horse to beat by default? I mean it’s almost like we’re looking to him scrambling to find a trend with this three year old crop right now. And I’m not sure we found them yet – I mean have you seen one? I think that there are four or five nice horses out there. I would say that what I’ve seen in McCraken obviously, which we just spoke of and I think Gunnervera he looks like a really, really nice [inaudible] J Boys Echo. And I thought both the Tod’s the one won the Tampa Bay Derby [Mastery] and the horse that won the Rebel, I think there are probably about a half a dozen – obviously Mastery would normally be in that conversation, but he’s on the shelf right now. But I think there are five or six really, really excellent colts out there. And right now, there’s so much mystique to this kind of this Triple Crown season things. You know, obviously, a lot of the things have to go right. But I think those four or five horses you know nothing to give away in these kind of races, but they’re – those are really, really nice colts, all of them. But McCraken – watched his work on a video yesterday. He looked really, really well. Bryan Hernandez, you know rides a lot for me and we’re very good friends and I know he’s excited about him and I think Bryan has a very good opinion, so that’s kind of my feel for it. And finally, with Robby Albarado, can you just talk about the confidence you have with him considering he’s had his problems here in recent years and he’s on the comeback trail in a way? Robby and I have had a great relationship over the years and that continues, and tenure is always a good thing. And we couldn’t feel – we couldn’t feel better about Robby helping [inaudible] along with this horse up at this point and we’ll just see what happens going forward. Alright Neil, before we let you go just very quickly I’m wondering if we could get an Eagle update. You’ve got him in the New Orleans handicap; what are you expecting from Eagle and in his second start of the layoff? He has done well. We were pleased with his first race back of kind of a lengthy layoff and he’s also – has had a very, very good month since that race. So we’re looking, we’re cautiously optimistic, but we’re looking forward to a good race from him. Excellent. Well Neil, best of luck with both these horses on Saturday. I’ll see you in New Orleans and we’ll see you in Louisville as well soon after. Okay well thank you so much. All right Neil Howard trainer of Guest Suite in the Louisiana Derby and Eagle in the New Orleans Handicap. Now let’s turn our attention to the one million dollar Florida Derby at Gulfstream Park. Gunnevera will be the likely favorite. And we could see the top three from the Fountain of Youth depending on whether Chad Brown decides to enter Practical Joke. Third in that Fountain of Youth was Three Rules, who dominated a series of Florida-bred stakes last fall before running sixth in the Breeders’ Cup Juvenile. This year he debuted with a strong second around one turn in the Swale before leading the Fountain of Youth into the stretch. He posted one of his typically fast works on Saturday for Jose Pinchin who would join us momentarily. Pinchin is a native of Jamaica where he took out his trainer’s license at 18. He’s been training for 45 years, the last 17 of those here in the US. Jose Pinchin, it’s Jim Mulvihill of the NTRA here. How are you doing? Thanks for joining us. I’m eager to hear more about your colt. I was watching the Fountain of Youth replay this morning and I just loved the way he battled on to the wire. You know, Gunnevera was gone in that race, but Three Rules really fought Practical Joke all the way to the wire. Just tell us a little bit about this horse’s – his will, and also whether he can battle like that as the distances get longer? Well we’re hoping that he will battle like that as the distances get longer. That was a tough race. He got pressured from early. He ran a really good race. He ran his race, and as you say, he fought on right to the bitter end. Hopefully, there’s not as much early speed, you know, we can probably go all the way. Yeah that’s what I was thinking. I mean there’s always questions as the distances get longer, but at the same time it might mean that there’s not as much pace so you might get an easier lead than you would otherwise. Excellent, well you’ve already got ten Kentucky Derby points so really all you need to make it to the Kentucky Derby would be a third or better in this race that would pretty much assure you a spot at Churchill Down. So know a million dollar race is a million dollar race, but tell us what’s more important to you: winning Saturday or just making sure that you secure a spot in the Kentucky Derby? We’d love to win the Florida Derby. It’s a million dollars, but if you don’t win, you want to run good. You want to run good, but if you move on, you move on to the Kentucky Derby. And what do you feel like you need to see on Saturday to go on to the Derby? I need to see a real good race [inaudible] from wire to wire [inaudible]. No its actually, it doesn’t make sense [inaudible]. You probably go on to the [inaudible] or something instead. Jose, there’s a story on the racing form today that Practical Joke is going to the Blue Grass. How does that affect your horse on Saturday and the shape of the race? Well that’s good news for me if he goes. That would help me a lot. And another story with the Racing Form maybe a week or so ago is that you’re off the Derby trail kind of and you’re pointing toward the Preakness. Is that accurate? Yeah that’s accurate. But if you win the Florida Derby, you got to go on to Kentucky. You know what I mean? What about a real good losing a bob at the – a real strong second or you know a three horse photo, would you still think of the Kentucky Derby, or would you point more toward the Preakness? That will be left up to the owners. That will be their decision. In some of the races last summer, this horse did rate just off the pace. I mean he was just much better than the horse he was facing. Could he sit off – if there’s an early speed horse who’s coming out of a sprint or something, could he sit off a horse like that on Saturday? I think so. I think he could. He’s not a gung-ho horse. I mean, you see it in his works, he’s raceable. And just one last thing, you beat Gunnevera twice last year before he got on his roll. Does that give you any extra confidence or anything – you’ve done it twice. Can you do it again? I’m sure I could. I mean Gunnevera, had it real setup for him last time. There was a real fast pace, and he is a nice horse, he’s is a good closer. All right Jose, before we let you go I’d just like to learn a little bit more about your background. We – as I said earlier you were training in Jamaica for a long time before coming to the US. Just talk about why you decided to make that move and how your career has developed over so many decades? Well it was about time to leave Jamaica. You can go so far there and no more. And I decided to come to Miami and give it a try. And it worked out well [inaudible]. We have been fortunate. We have had some nice horses. And things are good. Well I would say so. It’s always good to have a top three-year old and be able to point for Triple Crown races, so Jose we can’t wait to see how things go on Saturday and we wish you luck in the Florida Derby. All right Jose Pinchin, the trainer of Three Rules who, if Practical Joke is going to the Blue Grass, Three Rules would likely be the second choice in the Florida Derby on Saturday, so some very intriguing three year old races coming up this weekend. That will do it for this national media teleconference but will be back next week to talk about more major three year old prep races. My thanks again to all of today’s guests: Joe Sharpe, Neil Howard and Jose Pinchin.